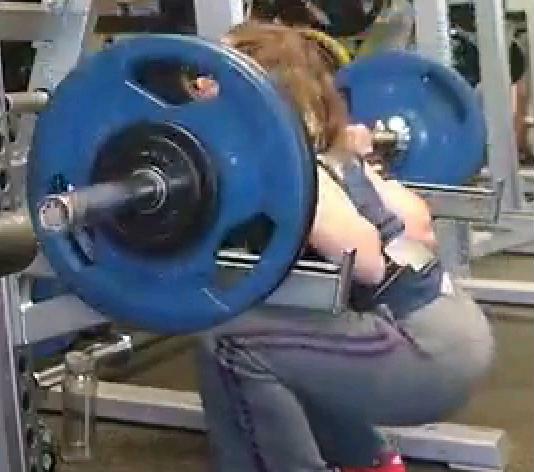 A perfect squat setup can be the difference between a successful lift and a failed lift. As a powerlifter, I train to make this portion of the squat as efficient as possible. 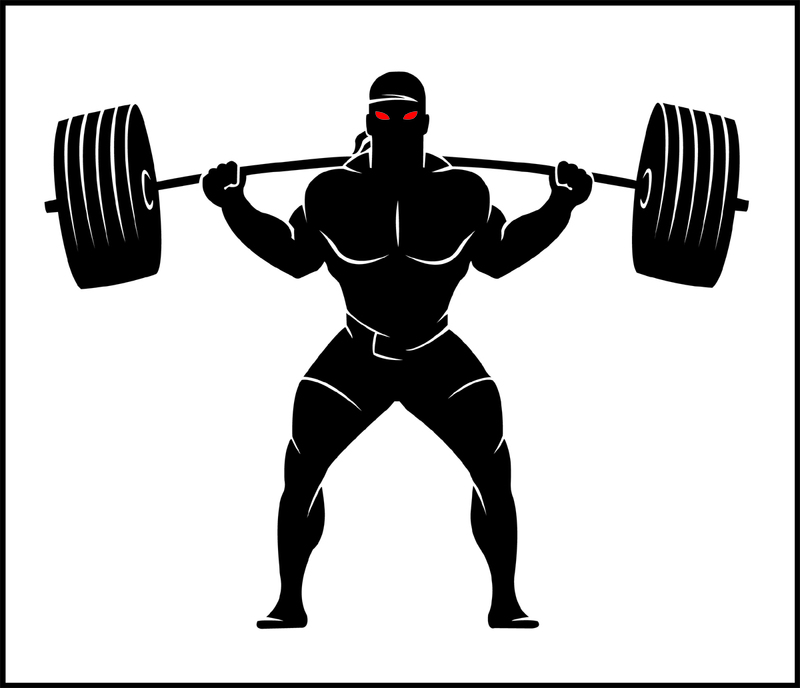 These powerlifting techniques can help any strength trainer not just powerlifters, take advantage of them. Don’t rush it. There is no excuse for your setup to not be perfect on every set you do from your first warm-up to your last working set. 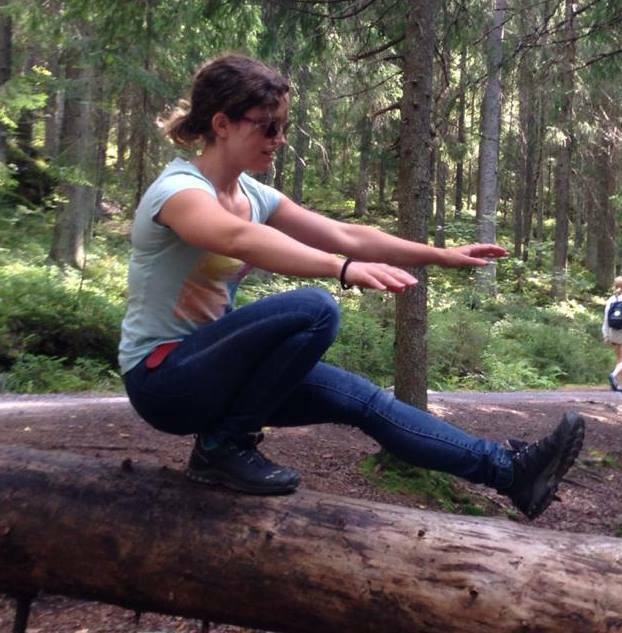 You have more control over the setup than you do over the actual lift. You have time to think about what you are doing every step of the way. Take advantage of this fact, and make it perfect every time. Hand placement: Hand placement is of course somewhat dependent upon your flexibility, but the closer you bring your hands in, the tighter you will be able to keep your upper back, providing more support to the bar. 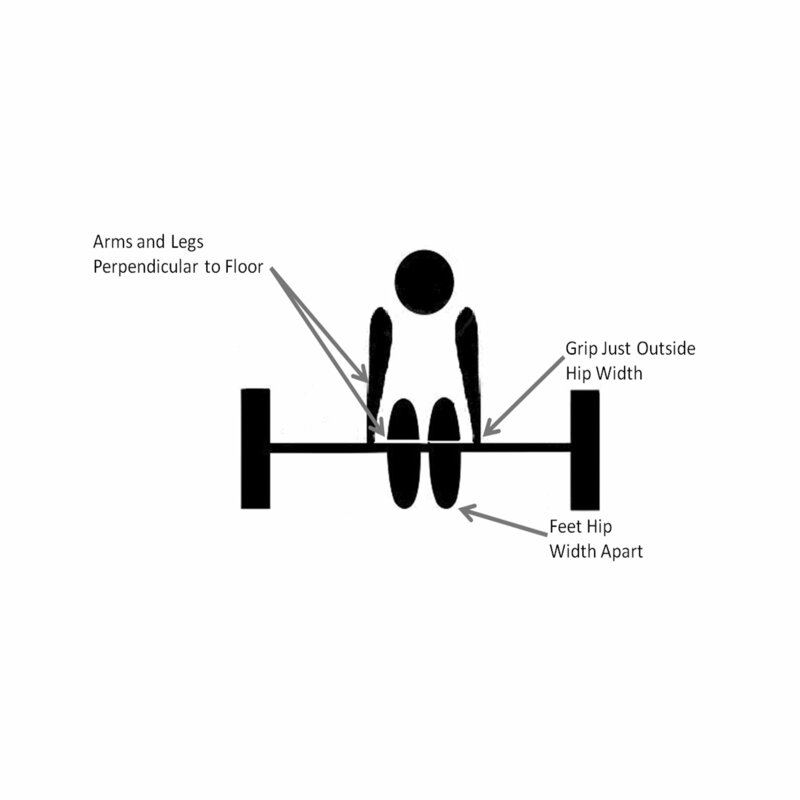 Bar placement: Bar placement can be affected by a number of factors (muscles targeted, individual body proportions, upper body flexibility). Generally speaking, however, placing it across the back of the delts versus on top of the traps allows you to generate the greater power. Foot placement: Place your feet under the bar in a standard conventional deadlift stance (approximately hip width apart, toes pointed forward); this will give you the most stability as you lift the bar out of the rack. Breathing: Take a deep breath and tighten your core before unracking the bar (Squat Breathing Technique). This creates a very solid, stable core and allows you to support the weight of the bar. Continue to hold your breath until you have walked the bar out. 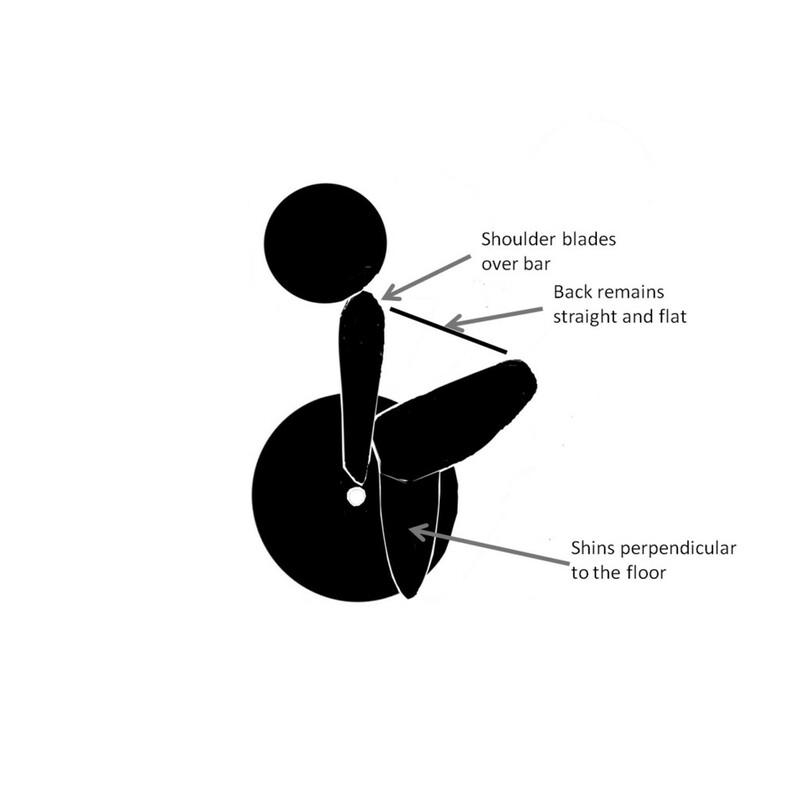 Rotate your hips under the bar: Keeping your back flat, shift your hips forward by rotating at the bar and your shoulders – do not flex your lumbar spine to push your hips forward. 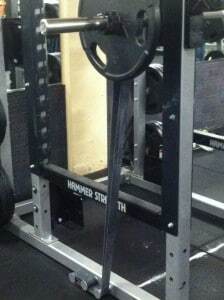 Unrack the bar: Lift the bar straight up using your legs, primarily your quads; if you have not properly rotated your hips under the bar, this looks like a good morning, making the bar feel much heavier. After unracking, pause briefly allowing the bar to settle briefly before stepping back. Watch your feet as you walk out so that you can place them exactly where you want them. Your first step should be straight back. This will allow you to clear the rack so that you don’t bump it on the way out. It should be a short step, your toe should not move much farther back than the heel of your other foot. 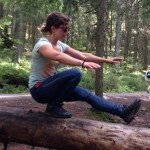 Move your other foot back into your squatting position. 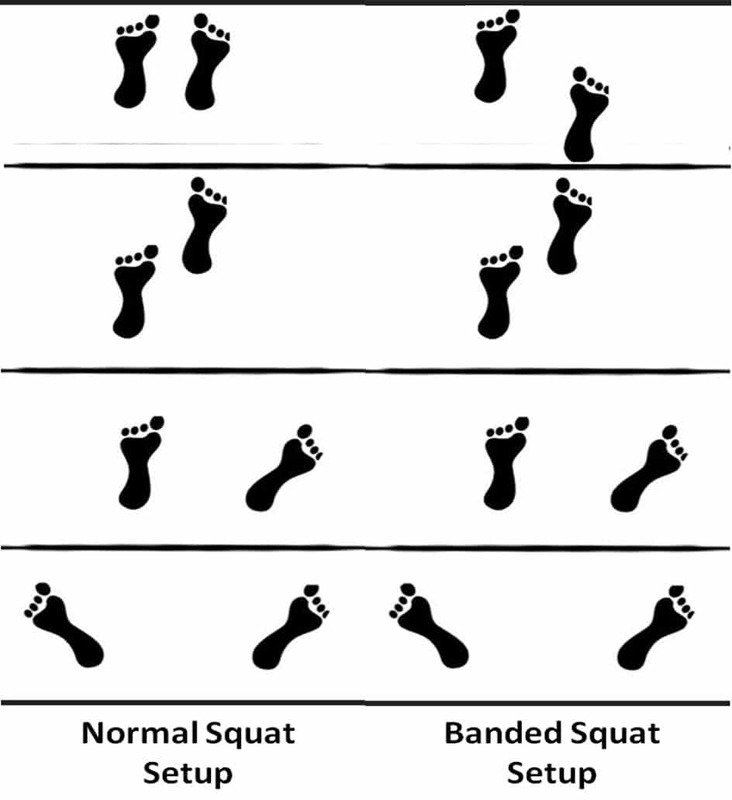 Shift your first foot straight out into your squatting position. 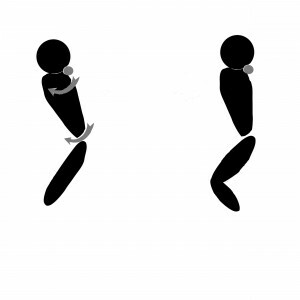 Practice this walkout to minimize shifting and shuffling once you’ve walked out. Let the bar settle briefly again, begin breathing again and your are ready to squat. Practice these steps from your very first warm-ups, and make them automatic. Done right, the correct setup can make the weight feel much lighter, giving you greater confidence in your lift! The deadlift is a simple exercise, right? Just grab a heavy bar and stand up. 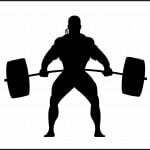 To advance from a good deadlifter, to a great deadlifter, you really have to understand all the mechanics of the lift, which actually are somewhat complex. 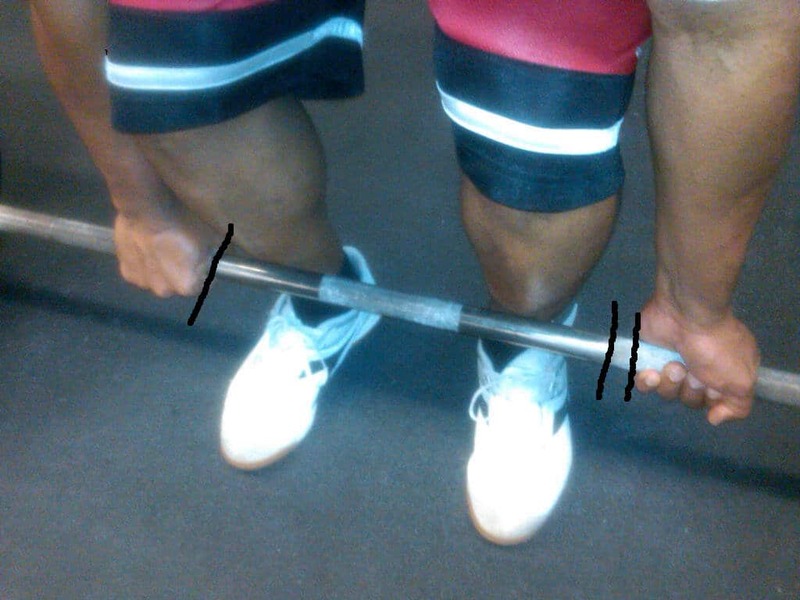 I’ve broken the deadlift into 21 separate steps to help you master every nuance of the lift. There is no reason your setup should not be perfect every single rep of every single step. You are able to stop and think about every step in the setup as you are doing it. 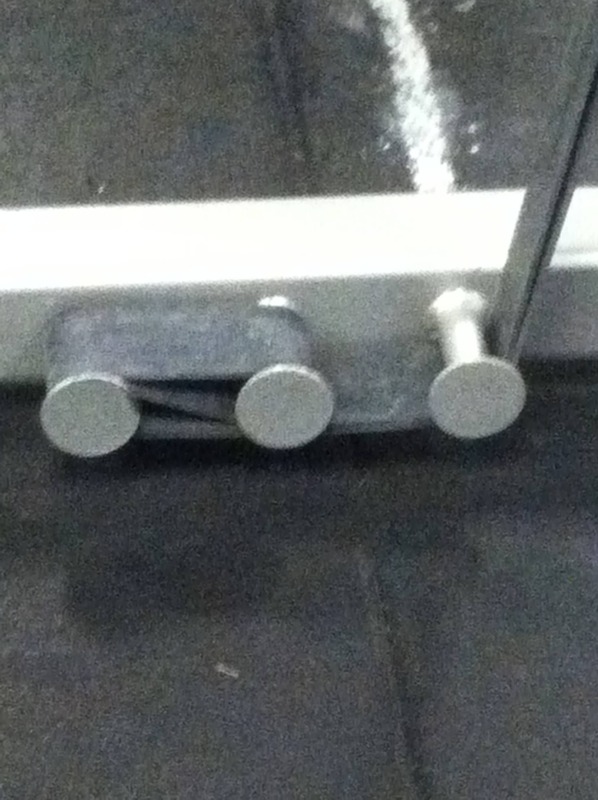 Setting up properly can make a significant difference in how much iron you can pull. Choose a bar with most pronounced knurling, it should be somewhat sharp; yes, this will tear your hands up, but you will hold onto the bar. 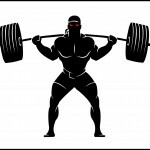 Try and master the basic deadlift technique before starting to add more advanced techniques to your pulls. This will give you a great foundation, and very solid deadlifts. 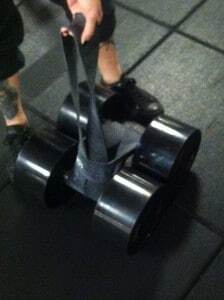 Once you have the basic deadlift technique mastered, and the steps are automatic, begin working on the advanced techniques that will take your pulls to the next level. Do not let the bar rest on your thighs (hitching) at any point during the lift, continue pulling steadily even if the bar slows and stops; if you cannot complete the lift without hitching, set it down and try again another time! Although a seemingly simple lift, there are many nuances to the deadlift that may be difficult to learn all at once. 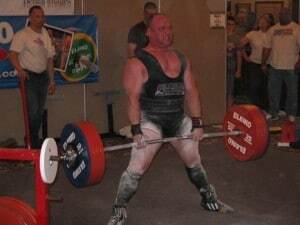 By breaking the deadlift down into separate phases, you can master each portion of the technique and build solid foundational skills before attempting more difficult and complex steps. Just as Brute Force Rule #4: Expect Steady Progression – following this approach, you may apply this rule to your deadlift as well. Last week in my Deadlift Setup article I touched on two deadlift setup approaches, the two count deadlift and the three count deadlift. In watching a new lifter last night, I captured one of the difficulties with the two count deadlift. 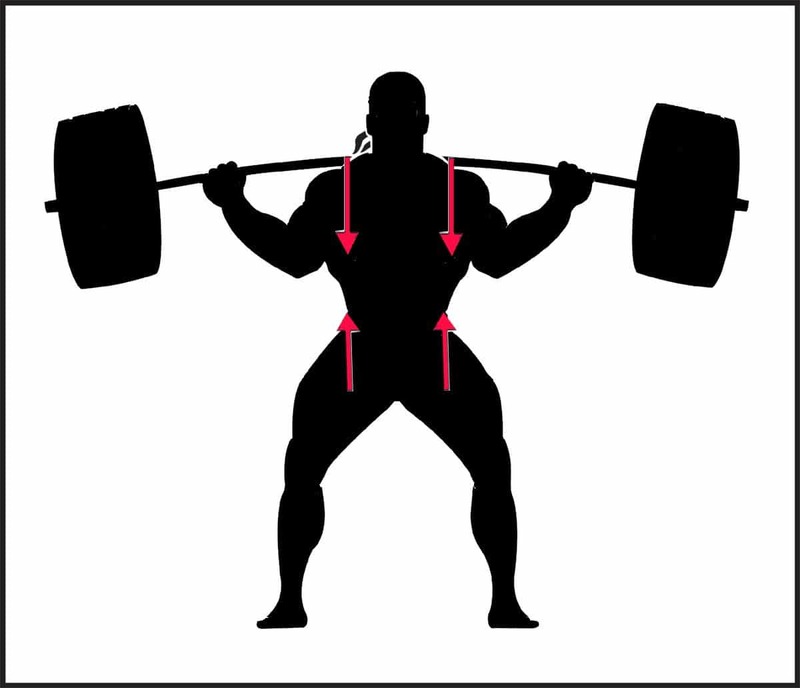 This is one reason I like bending at the waist to grab the bar, versus squatting, before dropping my hips into the starting position (three count deadlift). I can quickly and easily see exactly where I’m placing my hands before tightening up in that position. As with all lifts – a cleaner setup leads to a cleaner and more powerful pull! Deadlift is the easiest exercise there is, right? Bend down, grab the bar and pick it up. 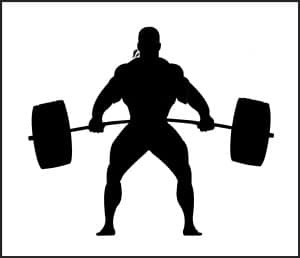 Have you ever noticed how your second repetition in a heavy set of deadlifts is often easier than your first? How you set up and grab the bar can make a huge difference in powerful your first repetition is as well. The Stretch Reflex: If a muscle is stretched rapidly, a contraction is triggered within that muscle. You use this reflex when you perform many of your exercises. During the eccentric, or lowering of the bar during the bench press for example, the pecs are stretched. This stretch, and the corresponding Stretch Reflex, assists you in driving the bar powerfully off your chest. 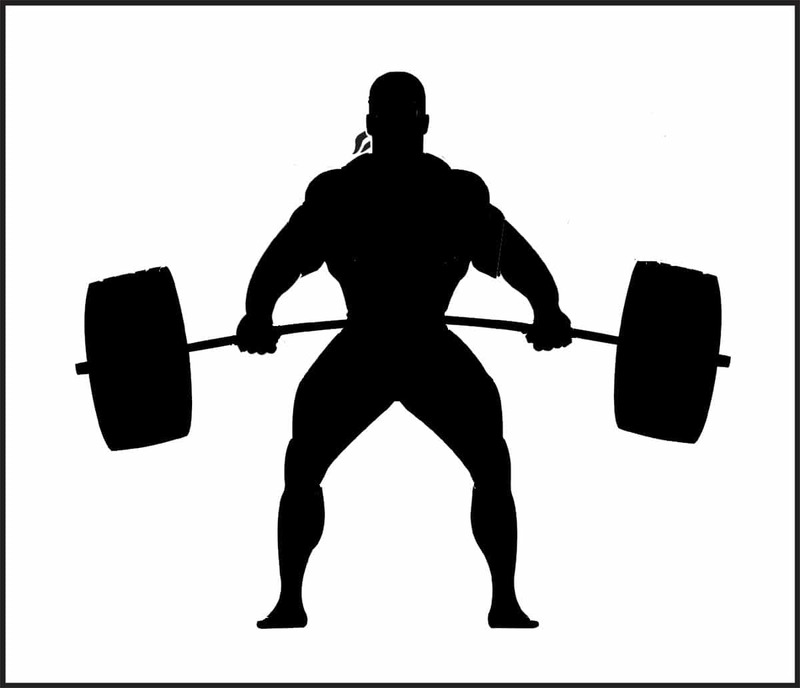 When deadlifting, there is no eccentric component to the first repetition. Just grab the bar and pick it up, right? 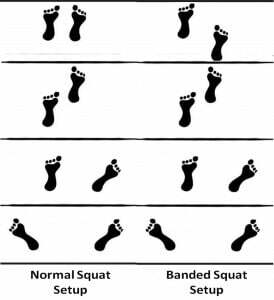 On your second repetition as you lower the bar to the floor, your glutes and hamstrings are stretched, creating a stretch reflex that assists with the second and subsequent repetitions. How can you create a Stretch Reflex on your first repetition? Let’s start by walking through a typical deadlift. I refer to this as the Two Count Deadlift. In trying to figure out why my own second repetitions were easier that the first, I came across a method of setting up for your deadlift that creates a pseudo eccentric component to your first repetition. I try to create the Stretch Reflex using a Three Count Deadlift. 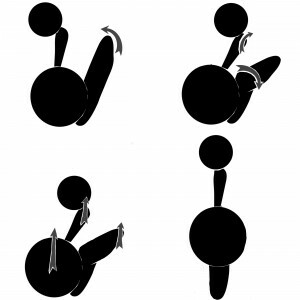 For both approaches, the concentric motion of the lift should be completed in one smooth motion. 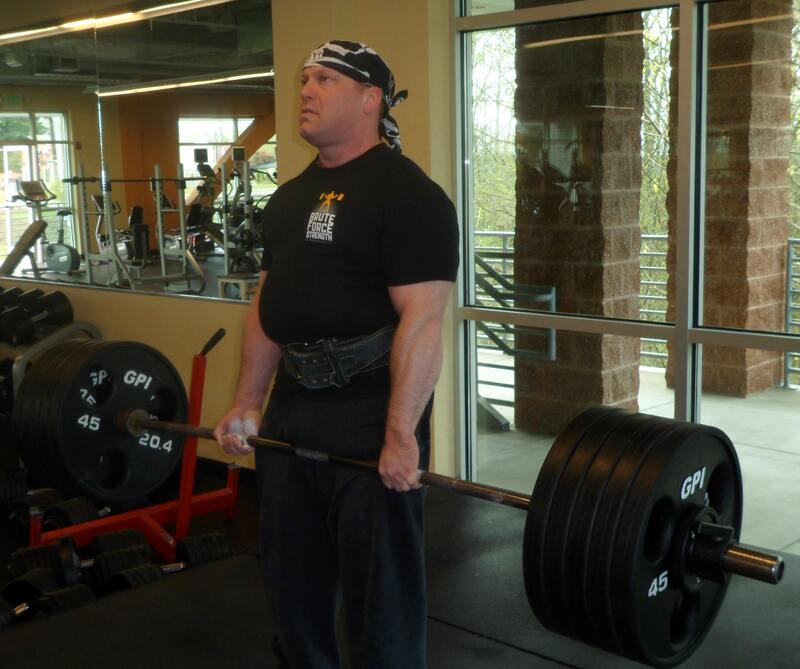 As a competitive powerlifter, I focus on resetting after every rep using the Three Count Deadlift for all repetitions. In a competition, there is only one repetition, so I train for a powerful single repetition. However, although using the Three Count Deadlift may make your first repetition more powerful, you may find that using the Two Count Deadlift for the eccentric portion at the end of your first rep can make the rest of your reps easier. If you’re not training for competition, a hybrid approach (Three Count first rep, Two Count for subsequent reps) may allow you to pull greater weight and volume. In the video demonstration, notice the transition to the Two Count Deadlift on the third repetition. Try taking advantage of your body’s own reflexes for stronger pulls!